The ST3300 are economical photometer in small package for any application. This portable photometer allow you to easily take readings directly in the field for 100+ parameters.Selecting the desired test has never been easier. Simply choose among the list of available tests on the large graphic display and the instrument will walk you through the test procedure - it's that easy! Simple. Convenient. Accurate. 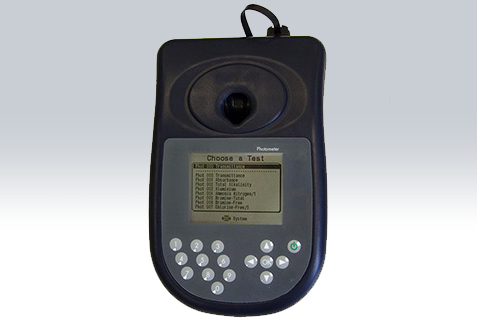 You can rely on the accuracy and reliability of ST3300 photometer. Just choose the reagents for the parameters of interest and start getting results today. The ST3300 includes hard-sided carrying case with foam cutouts for the instrument, accessories, reagents (sold separately), and more. You may also be interested in the ST3300 photometer which includes waterproof USB cable, internal memory, and user-selectable test options. BOD Meters . Chloride Meters . COD Meters . Conductivity Meters . Dissolved Oxygen Meters . Ion Meters . pH meters . Photometers . TDS Meters . Humidity Temperature Meter . Turbidimeters . Air Sampler . Others . Light Meter . Petrochemical . centrifuges . Autoclaves . X Ray Analyzers . water activity meter . Refrigerator&Freezer . CO2 meter . Filtration .